Prices include 15 Days Parking! 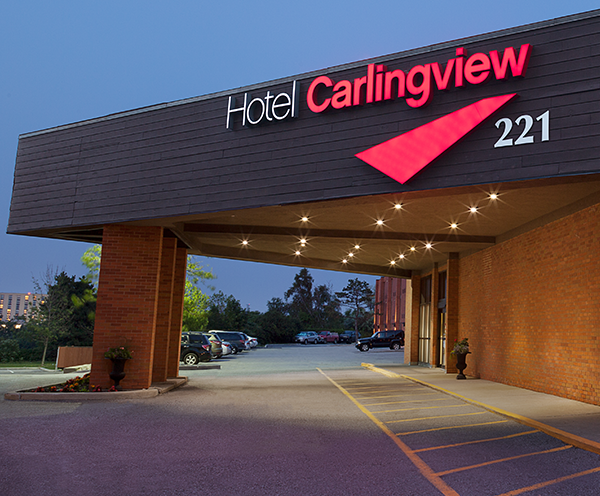 112 air-conditioned guestrooms at Hotel Carlingview Toronto Airport feature coffee/tea makers and blackout drapes/curtains. Furnishings include desks, ergonomic chairs, and sofa beds. Bathrooms feature shower/tub combinations, complimentary toiletries, and hair dryers. Wireless Internet access is complimentary. Guestrooms offer phones with voice mail. 32-inch flat-panel televisions have cable channels. Guests may request irons/ironing boards, hypo-allergenic bedding, and wake-up calls. Housekeeping is available daily. Guestrooms are all non-smoking. Prices include 8 Days Parking! 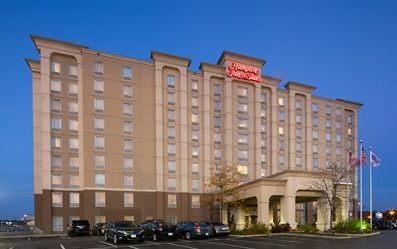 Hampton Inn & Suites by Hilton Toronto Airport hotel boasts a convenient location minutes from the terminal with access to the Toronto Congress Centre, Airport Corporate Centre, Creekside Corporate Centre and the International Centre. Discover one of Canada's finest cities and enjoy a great night's sleep during your stay at our Hampton Inn & Suites by Hilton Toronto Airport hotel. The airport shuttle, running daily and at every 30 minutes, transports guests from two pick-up points serving both terminals 1 and 3. Included with every stay; free hot breakfast, clean and fresh Hampton bed™, free WiFi access in every room and gym / fitness centre use. 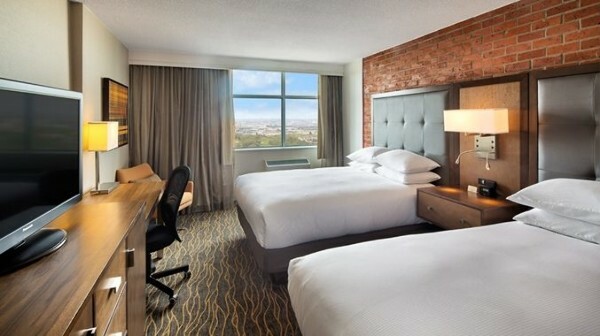 216 Newly Renovated Deluxe air-conditioned guestrooms at Radisson Suite Hotel Toronto Airport (remove dash) feature coffee/tea makers and safes. Beds come with Select Comfort mattresses. All rooms include separate sitting areas along with desks and sofa beds. Bathrooms feature complimentary toiletries and hair dryers. Wireless Internet access. In addition to complimentary newspapers, guestrooms offer cordless phones with voice mail. Televisions have satellite channels and pay movies. Also included are electronic check-out and irons/ironing boards. Housekeeping is offered daily and guests may request wake-up calls. Price includes up to 8 days parking! 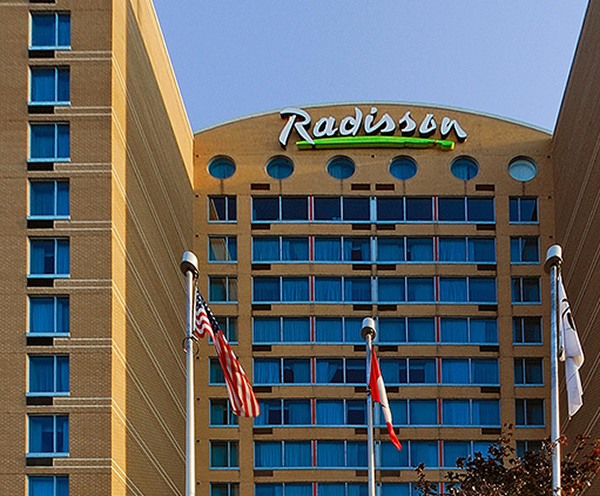 Welcome to DoubleTree by Hilton Toronto Airport, a stylish hotel with contemporary comforts. Enjoy a convenient 24-hour shuttle service to/from Toronto Pearson International Airport (YYZ).Kick off your stay with a warm DoubleTree chocolate chip cookie at check-in. Modern guest rooms feature complimentary Wi-Fi, a 50-inch TV, mini-fridge, ergonomic workspace and coffee maker, and some rooms offer premium views of the airport in action.